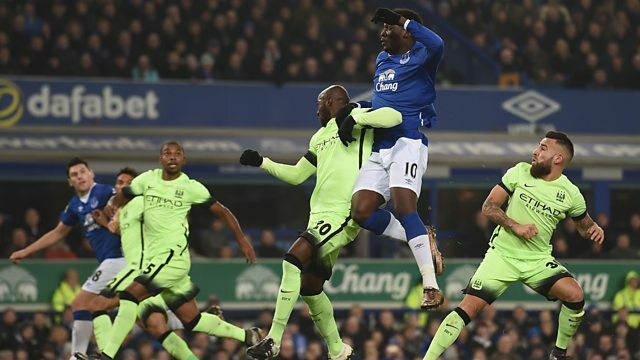 Everton hold the advantage in the Capital One Cup semi-final against Manchester City after Romelu Lukaku's 19th goal of the season gave them victory in the first leg at Goodison Park. City looked to have secured a draw with 14 minutes left, when Jesus Navas capped a sweeping counter attack, following brilliant work by Sergio Aguero, to equalise Ramiro Funes Mori's opener for Everton on the stroke of half-time. This clip was taken from 5 live Sport on Wednesday 6th January 2016.